Dina Kowal Creative: My Sweet Petunia and Unity swap hop! My Sweet Petunia and Unity swap hop! I'm so thankful to be a part of a community that thrives on relationship and encouragement! It's so fun to be a guest in a joint blog hop with two companies that really live this out. Today I'm hopping with designers from Unity Stamp Co. and My Sweet Petunia! Keep reading for more info on how YOU could win a prize from one of these two companies! If you just happened on the blog hop today because you're a regular reader of my blog, and you'd like to view the entire hop, you can start back at the My Sweet Petunia blog - you'll find a full list of participants there, and all the details you need. If you're already hopping and you arrived here from Maria Levine's blog, you're doing just fine. My samples are all colored using Chameleon Color Tone pencils, since I have a set here to review! It was nice to have such beautiful images to work with as I took the pencils through their paces. I also wanted to be sure to showcase how the stamps could be used with the MISTI, so I used a different technique with each of my cards. Here we go! This is Grace Girl, a new addition to Angie Blom's signature line - I colored the image using a single pencil - the Color Tone pencils are double-ended, with a light and dark tone. For the background, I masked off the image, and positioned the sentiment stamp from the set toward the center of my MISTI. Each time I inked the sentiment, I moved the panel, stamping at even intervals to create a background. While the image was still masked, I brushed some of the same ink around the image to give it a warm glow. This second image (Grace Upon Grace) is by Phyllis Harris, one of my favorite stamp artists! I used the MISTI to stamp the image in a dark brown ink, then moved the panel over about 1/4" and stamped in a light grey. This gave me a shadow to work with, and accentuated those gorgeous curls and the details of the fern branch. I colored in the image in a loose, scribbly style. I love working this way - it's a little more abstract and fun. For my third card, I blended the pencils with mineral spirits. This snail is the main image for a huge and wonderful sentiment set (Happy Snail Mail) that has all kinds of sayings for mail art, belated cards, and everything in between. This background is a Watercolor Imprint technique I've been working on - I'll share a tutorial on that in a month or two. This was one of my practice panels that was within reach, and I was so happy that it matched! I wanted the snail image to be sort of 'borderless' so I used a light ink, but I also wanted his little eyes and antennaes to show. After stamping, I left the stamp in my MISTI so I could restamp in the exact same place. When I was done coloring, I put the panel back, and inked up just the eyes and antennaes with a black marker. I love that little trick - it really gives life to a borderless image! Now for the fun stuff - thanks for hanging with me this far! Be sure to leave a comment on my blog and on the blogs of the rest of my friends below (look at them all - what a lot of talent in one list!!) Everyone who leaves a comment on all the blogs in the hop will be entered in a drawing for 3 prize packs from Unity and winner's choice of an Original or Mini MISTI from My Sweet Petunia! Please comment by May 30th at noon Central to be eligible. 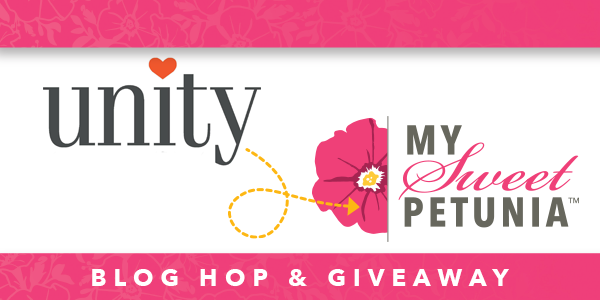 Winners will be posted on both the Unity Blog and the My Sweet Petunia blog on May 31st, so be sure to check back. 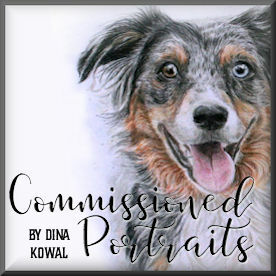 Dina Kowal ------------------------------ you're here! Chameleon art products | MISTI | My Sweet Petunia | Scor-Pal | Spellbinders | Unity Stamp Co.
fabulous! gotta love those girl stamps! You started me on this hop and your cards were so enchanting.... I started at the beginning and am loving my way through! My fav is the tonal girl!!!!! Your cards look Amazing, Dina!! The mushroom looks so real - love your colouring!! Just wow! Sometimes I don't have words for how great these are. Thank you! Great tip for doing the eyes. Love your style! Great cards! Love the stamps that you picked for these cards. Some of my favorites! Thank you for sharing. Very pretty cards. all so gorgeous and fabulous techniques on your cards.. wow that snail !! just WOW ! I'm impressed with your coloring skills. Fabulous coloring! Thanks for tips about using the misti with the grey shading and adding details! Love how you did Grace girl monochromatic. The technique on the snail is neat too. Neat idea on the borderless image!! All your cards are so cute! I especially love the Grace upon grace image card. Your coloring on the mushroom is amazing! I am in awe of your wonderful coloring skills. You are a name I admire and follow because of your fine work. Keep up the good work. You are so inspiring to others like me. Oh I can't wait until I see how you did the BG on that snail card. So pretty. Love your coloring on all three of these amazing cards. Beautiful cards! I love the tip about the borderless stamping and then restamping an area you want to pop! Oh my goodness. Lots of great information here. Thank you! Gorgeous cards, Dina. I especially love that darling snail. Thank you for the creative uses for the Misti. 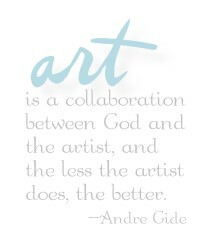 I am a fan of both Unity and the Misti and love that you've shown me new ways to use both. You have done a great job coloring! The mushroom is excellent!! Great cards! Appreciate the tip about eyes. Thanks for sharing! Beautiful Dina, I love how you added the extra grasses too. I really like the tip about the shadow. I really like the look of the no line stamping and once again such a great tip to accentuate the eyes and antennae with the black ink. I thought I left a comment - duh! I love both of your cards Dina and love the way you have done them. I am interested in the pencils so will be interested to read your review. Your cards are so beautiful! I love how you did the background on Grace Girl. (I've got to get a Misti!) I love the technique of using a black marker to only ink the eyes and antenna! Great idea! Love these! great tip about the marker! Phyllis Harris has won my heart and your coloring just takes it over the top! WOW Dina, you have been busy too. These are fantastic cards! Such beautiful cards! Love the tip for the eyes! I'm so glad I ordered Snail Mail today. Now I have a good card to CASE! Love the eye-antennae trick. Thanks. Beautiful cards. Thanks for all the great tips. Awesome coloring on these pretty cards! Love your tone on tone card. I would not have thought of doing that - great tip and idea. My favorite is the Grave upon grave card! Beautiful! Those Chameleon pencils look awesome. Great cards and techniques. Can't wait to see the watercolor print tutorial. Dina, your coloring is amazing. Thanks you for sharing your talent and knowledge. So many great ideas! The antennae idea is brilliant, and I adore the use of a sentiment as a background. All these great cards with the snail and mushroom means I probably need to order it this week! girl with the wheat is so sweet. Awesome cards ! Thank you for the tip of the re-stamping of details. Fun cards. Thanks for sharing. Love the shadow tip on the 2nd card. Great idea! Wow, the snail card looks so three dimension. It makes you want to reach out and touch it. Thank you for the creative uses for the Misti and your coloring is OUTSTANDING! Hi Dina. Your coloring is amazing. Thanks for sharing different projects and techniques. Great techniques and beautiful cards. Wonderful cards you created with Unity stamps and the Misti. Love this. Really like the way what you did with the snail . Thanks! Lovely cards. The first one is stunning. I need to get both of these stamps. I need the snail mail one for sure. Cute! So cute. Love these new stamps! Thanks for tips on how to use the Misti. I really need to get myself one of these little guys. Gotta stop buying so many Unity stamps to be able to afford anything else.. LOL!! wonderful cards. my favorite is the mono color gal...she is stunning! Hi Dina. All your cards are so beautiful. Can't wait to learn about the background that you did on the snail card. Just gorgeous!! The snail card is really cute! I love your fun, sketched style! It looks amazing and so original too! The little girl is adorable and I have a weakness for the snail. Great cards and, as usual, great coloring - but I especially like the cute snail! Pretty and creative work! Thanks too for the tips you used on these cards with the MISTI. Each card is as beautiful as the first one! Loved them all! WOW, gorgeous cards, all very different and striking. Love your use of colors. Thanks. I Love learning new techniques!!! Thank you for sharing the stamp image in brown, then move stamp a little, stamp in grey! Creating a shadow! This is genius!!!!! Thank you!!!! What gorgeous cards! I love the Unity stamps, I particularly like the Grace Upon Grace. Thanks for sharing! Loved your cards... fabulous coloring! Just beautiful work! I love the shadow you did with the Phyllis Harris stamp and your coloring is amazing on both the Angie girl and mushroom! Beautiful cards. Love your colouring. Thanks for sharing your talent with us.